Our beloved husband, father, grandfather, great grandfather, great great grandfather, brother, uncle and friend, Jose R. Cardenas, age 87, went to be in the arms of his Heavenly Father on Friday, August24, 2018 surrounded by his loving family. Jose was born on March 25, 1931 in Weslaco,TX the son of Maria (Ramirez) and Serapio Cardenas. On August 8, 1951 Jose married the love of his life, Mary Helen Ortega in Sunnyside, WA. Jose was employed at Golden Gate Farms for 45 yrs where he had multiple job duties which included irrigating drying hops twining and retired as a foreman. He loved to garden, watch Mariner Baseball and Seahawk Football, while eating his favorite foods and candies. 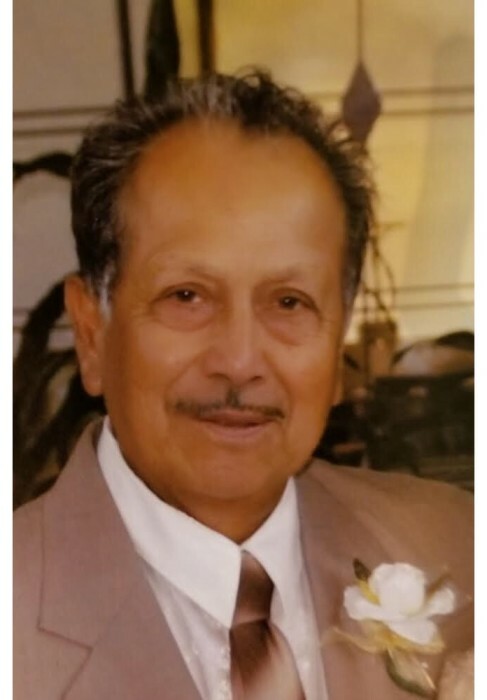 But most of all he cherished the time spent with his beloved wife of 67 years, Mary Helen, children, grandchildren great grandchildren and great great grandchildren Jose was a member of the St. Joseph Catholic Church in Sunnyside, WA. He is survived by his wife, Mary Helen Cardenas of Sunnyside, WA. Children Syl Cardenas Escobar of Grandview, WA, Sally Halbrook and husband David of Seattle, WA, Joe Jr. Cardenas and wife Mary of Sunnyside, WA, Sandy Rodriguez and husband Gilbert of Grandview Wa, David Cardenas and wife Terrie of Grandview, WA and Yolanda Sotelo and husband Robert of Sunnyside, WA. He is also survived by 16 grandchildren, 27 great grandchildren plus 2 great great grandchildren two brothers John Cardenas and wife Clara and Chon Torres all of Sunnyside, WA, one sister Paulina Zepeda of Weslaco, TX. Jose is preceded in death by his parents, Maria and Serapio Cardenas, two brothers Refugio Cardenas and Donaciano Cardenas, three sisters Eloisa DeLeon, Estolia Soto and Luisa Gonzales. You will be missed but never forgotten thank you for your love guidance and advice that you gave to all you will be forever in our hearts. Viewing and visitation will be held on Wednesday, Aug. 29, 2018 from 4:00 p.m. to 8:00p.m. with Recitation of the Holy Rosary at 6:00 p.m. at the Smith Funeral Home,Sunnyside, WA. Mass of Christian Burial will be held at 10:00 a.m. on Thursday, Aug 30, 2018 at the St. Joseph Catholic Church, Sunnyside, WA. Burial will follow at the LowerValley Memorial Gardens, Sunnyside, WA. Those wishing to sign Jose’s online memorial book may do so at www.funeralhomesmith.com Smith Funeral Home is in care of arrangements.